The historic flooding in Louisiana is finally being covered by some of the national media. Per their press release this morning, FEMA is even sending a truck, which is nice of them. They are also gathering supplies, "in case they are needed." 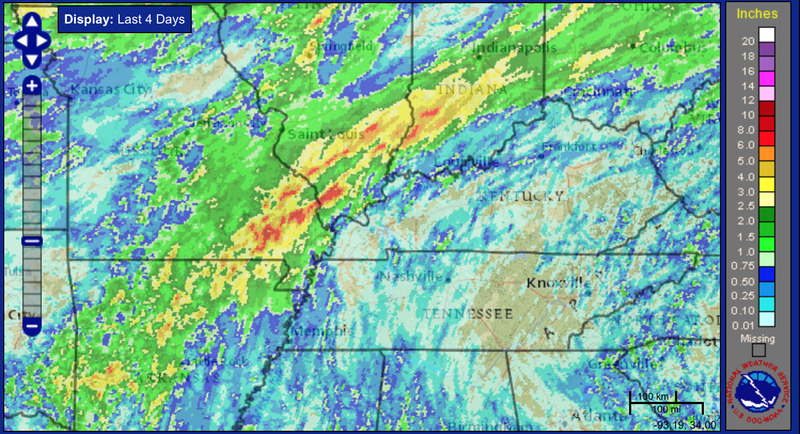 The town of Watson, Louisiana has received an incredible 31.39 inches of rain. 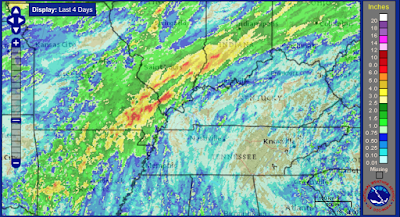 Adjusting our attention farther north, here is the total rainfall, so far, in the middle Mississippi and lower Ohio Valleys. Some areas have already received more than six inches. 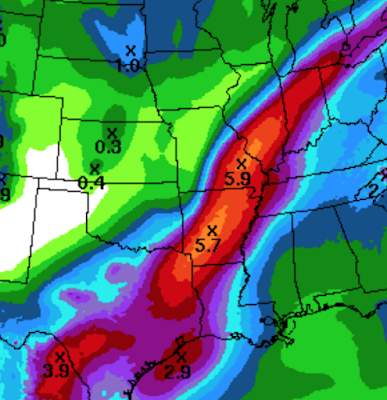 Below is the forecast rainfall for the next five days. Most will fall in the next three. Serious flooding will result in these areas. Please keep up on the latest weather forecasts!